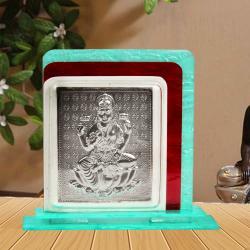 Product Consists : Crystal Frame of Silver Plated Radha Krishna with Table Stand. Here is a beautifully designed idol of Lord Krishna and Goddess Radha. 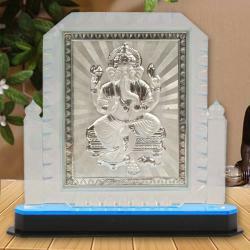 This spectacular masterpiece is made up of crystals which come with Pure Gold plating. This amiable idol of Lord Krishna and Goddess Radha is striking the perfect balance between traditionality and modernity. 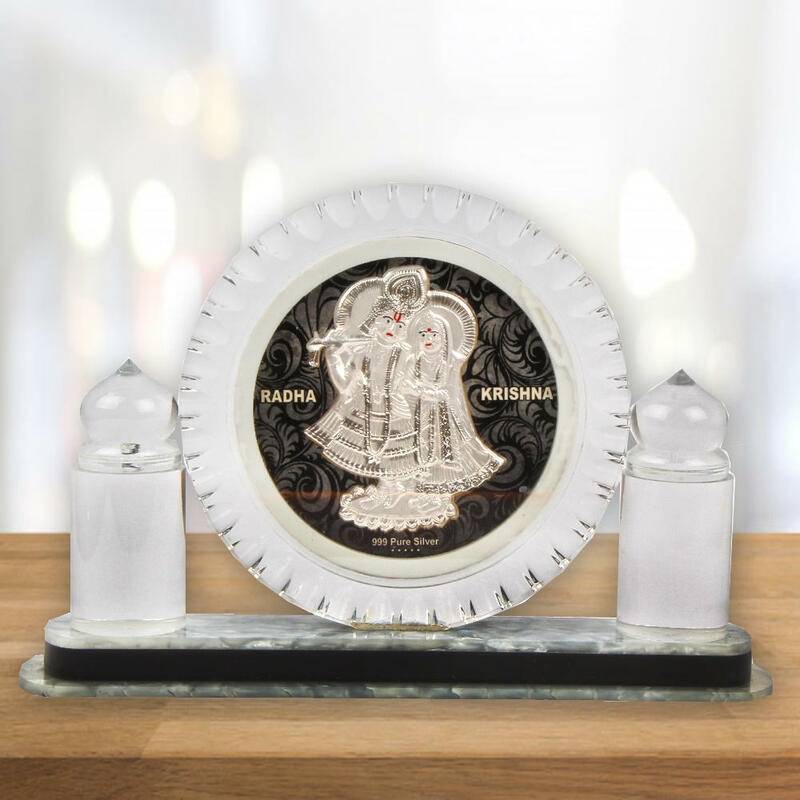 The product resembles Krishna ji and Radha ji standing on a pedestal. Keep this idol for love and affection. 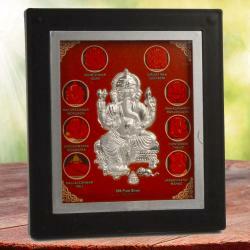 Increase your spritual love and decor your pooja place with this beautiful silver Radha-Krishna photo frame. 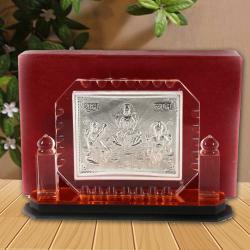 Product Includes : Crystal Frame of Silver Plated Radha Krishna with Table Stand.